Shirley Anne Rollins Adkins, 83 of Dyersburg, Tennessee died on Sunday, October 14, 2018, at Jackson-Madison County General Hospital in Jackson, Tennessee. Born Tuesday, September 17, 1935 in Friendship, Tennessee, she was the daughter of the late Ralph Wray Rollins and the late Gladys Loral Gooch Rollins. She was a member of Hillcrest Baptist Church. The joy of her life was sharing in the lives and caring for the children of her family and friends. She is survived by one son, David Lynn Huey, Jr. of Lyles, Tennessee; two daughters, Melinda "Mindy" Blue (Tom) of Knoxville, Tennessee and Amy Catheryn Heffernan (Joe) of Atwater, California; four grandchildren, Emily Blue (Ben Richie), Camille Blue, Robin Fox (Rick) and Patrick J. Heffernan and three great-grandchildren, Ragan Richie, Nolan Richie and Jamie Fox. She was loved by a host of nieces, nephews, great nieces and great nephews. She was preceded in death by her husband, George Leroy Adkins; two brothers, William Harris Rollins and Lyndell "Sonny" Rollins and two sisters, Mary Jean Clymer and Tennie Catherine Faulkner. The family ask that memorials be directed to the Dyer County Community Cancer Fund, P.O. Box # 1055, Dyersburg, Tennessee 38024 or McIver's Grant Public Library, 410 West Court Street, Dyersburg, Tennessee 38024. Online condolences may be made to the family at johnsonwilliamsfuneralhome.com. 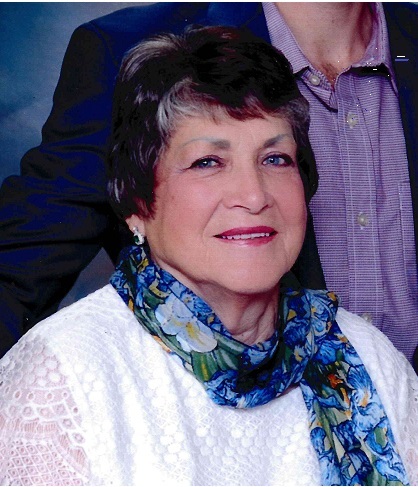 Johnson-Williams Funeral Home is honored to serve the family of Shirley Anne Rollins Adkins.